Truck drivers should be mad as hell. The lack of legal and safe parking is costing them money and putting their lives at risk. And nothing is being done. Two years after the passage of Jason’s Law to ensure more safe rest areas, the situation with truck driver parking is still a monumental crisis. 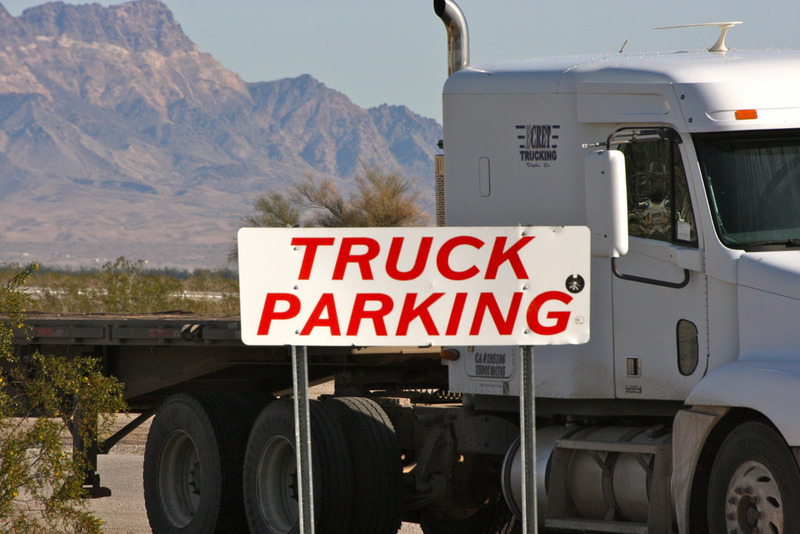 Truck drivers rely on truck stops and rest areas to legally park in safe, well-lit areas. When those stops are sparse, truck drivers can’t simply drive until they find one. Truckers are restricted by how long they can drive because of the Hours of Service (HOS) regulation. So if a driver can’t find a spot when their hours run out, they have to park on the street or find another spot. Some counties don’t like the view or safety concerns that come with big semi-trucks parked on the street, so they’re banning truck parking. One city in Kansas raised their truck parking fine from $30 to $500 – almost 17 times as much money! Some communities don’t even want trucks parked in parking lots. One Walmart was fined $50,000 for allowing truck parking. If truck drivers can only park at truck stops, then that means they have to drive until they find one. But Electronic Logging Devices (ELDs) penalize drivers if they drive more hours than they are legally allowed. These devices became mandatory in a new rule drafted by the FMCSA during the Obama administration. According to a new survey of 5,400 drivers by Trucker Path, 80% of drivers reported that the ELD mandate (forcing drivers to use ELDs) made it more difficult to find truck parking. And drivers said the number one cause of stress on the job was parking. Local laws are making it harder to park on the street or in business parking lots, but federal ELD mandates are making it harder for truck drivers to reach safe parking before their hours run out. This leads to more illegal parking and more dangerous parking. One way to fix this problem is to invest in more parking, more truck stops, and better rest areas. This means investing in the infrastructure of America. President Donald Trump acknowledged this when he campaigned for his job. Unfortunately, when his infrastructure bill came out, the plan was a scam. The infrastructure bill would have privatized parking areas and created more toll roads. While great for corporate profits, the scam would’ve reduced parking and increased traffic, costing drivers even more money. The American Trucking Association opposed the bill. After the ridiculous infrastructure bill was unveiled, it received little action. Politico reported that “Infrastructure Week” had become a “punchline” in Washington DC. And the administration’s repeated attempts to push a phony infrastructure bill in the midst of scandals became a joke. But this is no laughing matter. Parking and infrastructure are safety issues for truck drivers in a dangerous job. The President now says that real infrastructure spending must wait until after the mid-term elections in November. A real infrastructure plan would be great to alleviate parking problems, but somehow President Trump and the Republican-controlled congress found the time and money to pass a $1.5 trillion tax cut that lowers the corporate tax rate, but no time to pass a real infrastructure bill. Once again, infrastructure is being dangled like a carrot to get truckers with long hours and hard jobs to vote. The good news is that the mid-term elections are coming up, so Congress will once again want your votes. Call your local congressperson and local candidates. Find out their views and policies on infrastructure and parking. Find out if real money (not traffic-increasing toll roads) will be going into parking areas and truck stops. Infrastructure was once something that all Americans could agree to fund. So vote in November, and make infrastructure and parking important again.